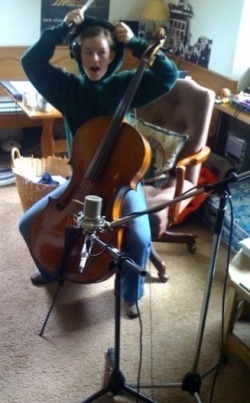 the cello adds a vibrant presence to any room. it is a moving instrument for many because it is bears a striking resemblance to the human voice. with such warmth and resonance, it is not a surprise that so many choose to use strings to add the perfect touch to their wedding, party, or recording. if you are looking for such a presence to grace your event, there are several options for you. a violin/cello duo makes a great combo for a smaller wedding or event. it adds an intimate feel without being overpowering. a string trio or quartet can bring a bit more sound to a room while still maintaining the lovely string ensemble sound that so many love. piano trio (piano/violin/cello) is one of my personal favorites. if there is access to a piano at your venue, this option can really fill a space without feeling "loud". this ensemble also offers a particular versatility that is not so readily present in the others. there is a great deal of classical literature but it also lends itself well to your favorite oldies or current pop songs! please contact me if you have questions or would like to schedule music for your upcoming events or recordings. you can also schedule your own sprezzatura piano trio house concert by emailing me at sprezzatura.trio@gmail.com.